Sometimes we worry about having everything in just the right places before diving into something we want to do. I can look back at some of the most memorable things I've done in my life and nothing was ever in the right place, but somehow it usually worked out for me. Let me explain what I mean more here and how this can apply to bodybuilding or possibly other areas in your life. I want you to think back about everything you've ever done and how knowledgeable you were when you first started doing it. Because the problem I see with a lot of people is they want to spend all of their time studying something and hardly any of their time doing it!! When you first began to spell it probably looked sloppy because you'd never done it before. You may have spelled your name wrong or had a letter written backwards, but you could write your name and your teacher knew who it was that signed the paper. When you first rode a bicycle you probably fell a few times before you got the hang of it. But when you got the hang of it I'm sure there was a feeling inside you that nothing else at that time could duplicate. Life experiences can be fun when we've never done something before and we just dive into it and it starts working for us!! When I began working out I knew absolutely nothing about lifting weights. I only knew what I saw in movies or what I may have briefly heard in random talk going on around me. I had an idea that push-ups would help my chest get bigger and that curls would help me build biceps, but other than that I knew nothing!! I didn't know that pull-ups were intended to build my back, I had no idea what a squat even was, and I had no clue that lifting weights over my head was intended to work my shoulders!! When I say I knew nothing, I really mean that I knew practically nothing about building muscle!! But that didn't stop me from doing it!! I did whatever I could and whatever I felt was a system that worked for me. When I talk about my 125 routine, it was a system I had created myself out of sheer instinct. My primary focus wasn't executing movements in picture perfect form or feeling the pump in every little muscle group, but it was to simply try and the weights and improve every time!! I really didn't know what good form was because I didn't have someone to show me. While there are resources now like YouTube and more books available that can show you the proper technique to lifting weights, you're not going to perfect your form until you actually start lifting weights consistently. When I began weight training I didn't know if I was supposed to keep my arm against my leg during a concentration curl or not, or if jogging was good for building my legs up or just for cardio. I didn't know anything!! I wanted little weights I lifted to turn into bigger weights. The feeling of powering through the workouts and improving really became my first major motivation. I had pictures of a few bodybuilders on the wall of my bedroom but I didn't know what they did when they worked out. I only knew what I had available to me, and that was a cheap bar and some sand filled plastic plates that my uncle bought me for Christmas one year. My system for working out revolved around 3 things: some cheap weights in my bedroom, Metallica's first album on my stereo cassette player, and the sweat that dripped out of me and onto on my hardwood floor!! I can still remember that feeling of trying to muscle myself up from those first sets of push-ups or the tiny veins I started to see in my forearms from doing those concentration curls. “Scanning the scene in the city tonight, we're looking for you to start up the fight, there's an evil feeling in our brains but it's nothing new, you know it drives us insane…..seek and destroy! !” And seek and destroy is what I set out to do!! NEVER LOOK AT WHAT YOU DON'T HAVE, FOCUS ON WHAT YOU CAN HAVE!! Throughout the process of trying to build muscle I never looked at myself in anger or disappointment, I never just focused on what I didn't have, because the only thing in my vision was where I wanted to be and what I needed to do in order to get there. I also enjoyed what I was doing. 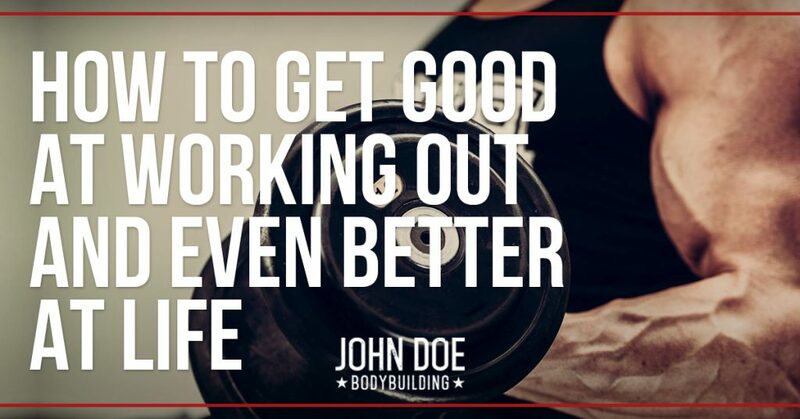 I didn't enjoy it so much at first because it was very hard work I wasn't used to doing, but once my little system of working out in my bedroom each night became a routine I started to enjoy it!! I didn't have any money for supplements and I eventually began working part time alongside cutting grass for neighbors to make my own money for groceries. Other kids were worried about what party they were going to attend that weekend, and there I was worrying about cutting a few extra lawns and working a few more hours that week stocking groceries so I could buy more ground beef, eggs and oats!! I didn't have a computer at the time and every once in awhile I'd buy some bodybuilding magazine, but I never really learned much from those. I saw a bunch of ads for products that I could purchase at my local GNC store, but I usually never had enough money to spend on any of them. If I was to buy something I saw in a magazine then that would mean I wouldn't be able to buy my food for the week, and I realized that my parents were buying food for a family to get by on and not for someone who was starting to eat like a horse!! So I just never wanted to put them in that situation and I didn't think it was fair. I kept plugging away at my workouts and going for my jogs a few days a week after I lifted weights at my house. I didn't know how far I would jog, I just came up with a route and that was the route I jogged every single time. I never deviated from it. I remember getting stopped by a police officer one night in the pouring rain while I was out jogging at 2 am. “What are you running away from? What are you doing out here at this time of the night running down the street?” he asked. “I'm working out Sir” I replied. He just shook his head and drove off. It was hard to believe that there was this young kid that wanted to be big and ripped so badly that he would just say the hell with it and go jogging at 2 am in the pouring rain. Man, I didn't give a damn about any of that stuff. I jogged in the rain, through snow, and on hot summer days. It never mattered to me; all that mattered was completing my mission that day. One thing I clearly remember after going for jogs without a shirt on, is returning home from my jogs and seeing my reflection in the glass of my garage door on a hot and sunny day. I could gradually see marked improvement in my upper body when I would see myself in that reflection. Muscles began looking larger and definition became clearer. You see, during this time I was actually building my character as well as my body. I didn't look at it like that then, but I look at it that way now when I look back. That eventually became a more motivational source than the workouts themselves. Some people just need something to feel good about. It could be playing a guitar, skateboarding, singing, baseball, working on a car, practically anything you could imagine!! Others may not understand why they're doing what they're doing, but as long as it makes them feel good and gives them a reason to push forward then I don't think many things are really that strange at all. I know a guy who plays the bagpipes and it's impressive to me. I can't even imagine how much time he has put into getting good at playing the bagpipes!! But it all started out with single note and he built it up from there. You don't have to be an expert at something to be good at it. There is such a thing as being good enough on your best day, and as long as you're good enough on your best day then what else can you do to be any better? Nobody is guaranteed another day here and the past is the past. All you can do is be good enough on your best day right? I think there comes a point with bodybuilding when you can take those feelings away by constantly worrying about what you don't have. It's very easy to pull up some pictures and say to yourself “I don't look like that so I'm no good yet.” The reality is that guy in those photos probably looked at photos and thought the same thing to himself at one point, or he may still be doing it!! I still look at photos of bodybuilders I admired throughout the years. Not only do I look at photos but I enjoy reading about their lives. I guess you could call me sort of a bodybuilding history buff in a way. The ones who always stood out to me were the ones who did good in life. They may never have been 1st place but they worked extremely hard and gave something back to people. I recently took my 8 year old son out to play golf. We played a 9 hole round and I got a power cart so he could drive it. I figured if he didn't take to golf then maybe he'd at least enjoy the experience of driving the cart. I got him a junior set of golf clubs last Christmas after I took him to the driving range and he seemed to enjoy it. He doesn't have every club in his set. He has a 5/6 iron, a 9/sand-wedge, a driver, and a putter. He has 4 clubs total. He doesn't know which clubs are required to have a full set yet, but that doesn't matter right now. All he knows is what he has available to him. I showed him a few simple things with his stance and swinging the club. Then I left him alone and let him have at it. Whenever he would hit a bad shot I'd just throw him another ball and tell him to take another shot at it. I rarely corrected him because had I constantly corrected him then it would take his own learning experience and fun out of something he was trying his best at. Back when I was first lifting weights if someone corrected me every single time I did a set it would have been annoying. Some people aren't ready to be corrected yet and I feel it's important to let people learn to some degree on their own. I couldn't believe what I saw on the first hole of the game. My son was on the green in only 5 shots on a par 4 hole!! Talk about a natural!! From that point on he had good shots and bad shots. What I'd do with him is break up the hole and tell him to focus on different parts of the course. For example, if there was a creek in the way then I'd tell him “Your goal right now is to hit the ball over that creek. Don't worry about the flag; just try to get the ball over the creek.” Then eventually he cleared the creek and I told him he did a great job. I can always gauge his level of enthusiasm by how hard he smacks my hand when I give him a high 5 hand slap. He was smacking my hand pretty hard that day too!! As far as keeping score went, there was no score card. I wanted him to have fun and I didn't want him to know the difference between how many shots were considered good and how many shots were considered bad. All I wanted him to understand was that if he somehow managed to get the ball from the tee and eventually into the hole then he was doing a great job!! By the way, I also missed a few meals from this. But meals will always be there for me, stuff like this won't. So the hell with it, when we got home we just ate a bunch of hot dogs and I wrote off the diet that day. I always try to make my cheat meals land on days where I'm doing something with family. My experience with bodybuilding has taught me so much more about life than just being in the gym and trying to get muscles. You always hear people say to never forget where you came from and that's something a lot of people stop living by. Where you came from can only be defined by the roots of doing what you can with what you had available to you at the time. It can only be defined by looking forward and not at what you think you cannot do. When my body wasn't growing fast enough to my liking I didn't look for excuses, I just worked harder at it. I didn't complain to people about something that was holding me back. Never once did I say to someone “If I just had enough money for protein powder and creatine then I'd be better than this! !” Never did I fall victim to that sort of weakness. Now take some of my examples here and think about how they can apply to almost any area of your life. Not good at approaching women? Solution: act like you have nothing to lose and do your best. Even if you fail, you've won, because you've worked on your character and you actually took a chance!! Many guys would be surprised to know this, but assertiveness and confidence come before money or looks. Confidence will win every time hands down. How do you become confident? You do the best you can with what you have, but you AT LEAST GET STARTED!! Stop reading everything you can before at least trying something for yourself. Even in my blog there is information that is useless to some people because they're not at that level yet. But hopefully some of my other articles are articles they can benefit from since I do frequently go back and forth between beginner and advanced techniques. Sometimes simple is the easiest way to get involved with something, and THAT something could be almost anything!! I don't claim to be anyone special. Hell, I'm just John Doe. But when you read some of these articles, I want to remind you that I came from knowing absolutely nothing about building muscle. I just decided one day to try to be a guy with some muscles and over the years I turned into John Doe. 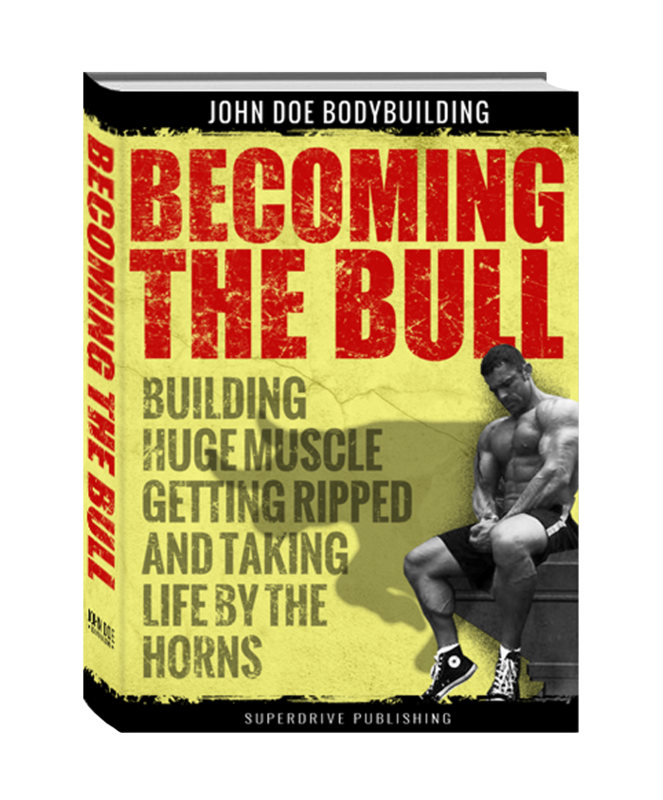 John Doe is every ordinary guy that tried to do something extraordinary to build his body and his life. You can too!! Really great, very motivational article, applicable to anyone and everyone. Thanks John! Great article JD, I can agree on the workouts and the approaching women/confidence part. Ever since I got Truly serious about lifting and eating right, my confidence SKYROCKETED! Now I approach, women anywhere and EVERYWHERE. For example yesterday I met a nice 24 year old girl and she texted me her number. A man with confidence is a minority, How many guys would have done what i’ve done? Maybe 1-5 out of 100. JD since making my body and my health a Priority, my finances have improved, my skin has improved, my friendships, my sales at work, the women in my life, this is what i’ve been told is called a “Keystone Habit” something we can rely on no matter what. You are a fantastic Blogger/writer/expert, Please keep up the great work, you help guys like me on a daily basis. Dude…you’re writing keeps getting better. I’d put this post up there with Henry Rollins’ “The Iron”. Amazing.